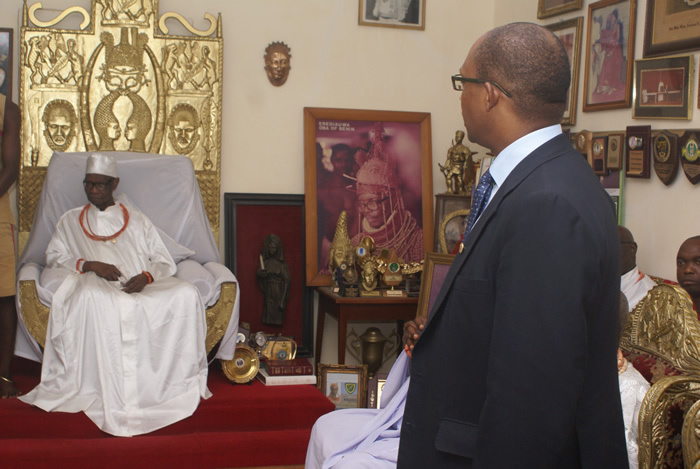 The Oxford and Cambridge Club of Nigeria recently paid a courtesy visit to its Grand Patron, His Royal Majesty, Omo n’Oba n’Edo Uku Akpolokpolo Oba Erediauwa, the Oba of Benin (an alumnus of King’s College, Cambridge). 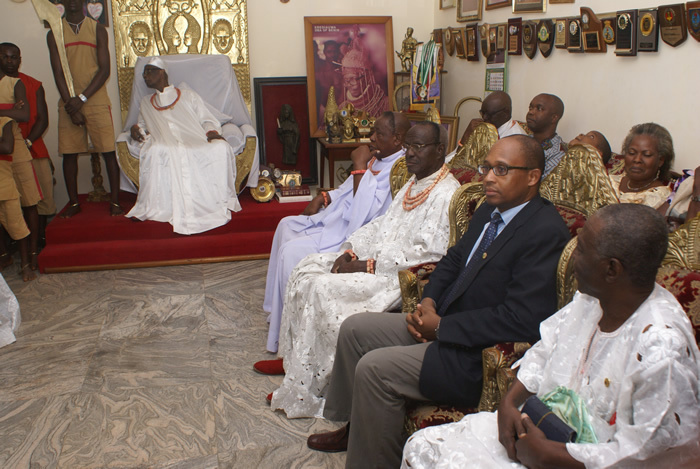 Speaking at the Palace, the Club’s President Mr Akinfela Akoni informed the Oba that the members of the Club had first and foremost come to thank him for supporting the Club over the years and for his incessant prayers. 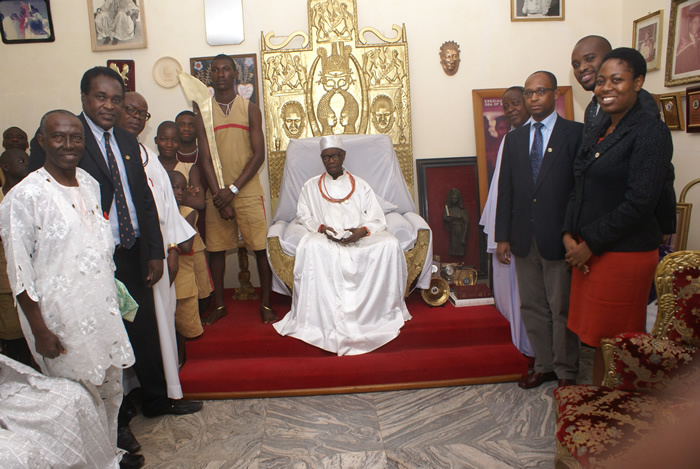 The President also took the opportunity to intimate His Royal Majesty of the Club’s activities in 2012. 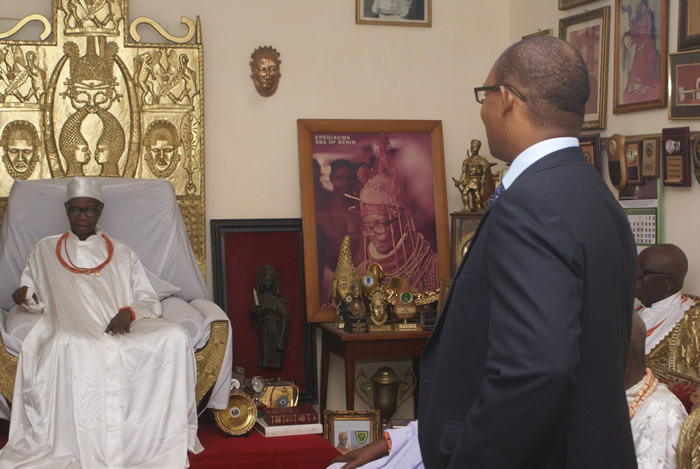 He informed the Oba that the 2012 Spring Lecture of the Club was delivered by His Excellency, President Paul Kagame of Rwanda – the first foreign incumbent President to address the Club. 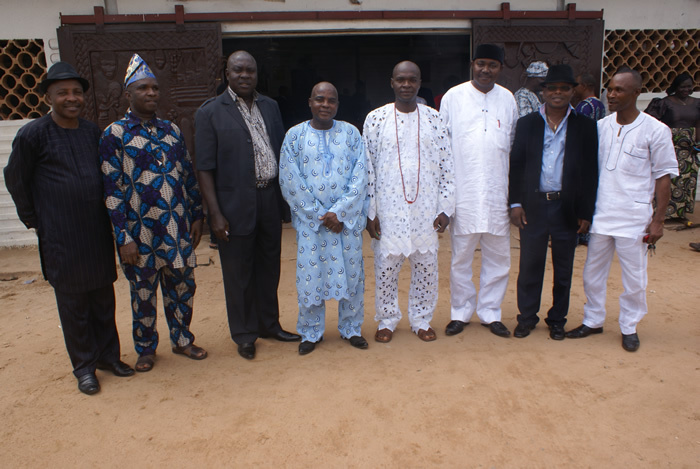 He also informed the Oba that the Annual May Ball (typically held in June to coincide with the end of the academic year) was a huge success and that plans were afoot to ensure that the milestones achieved this year were improved upon in 2013. 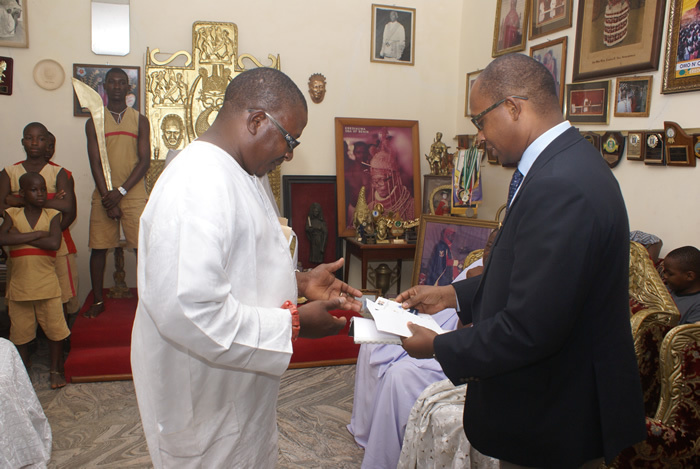 In recognition of the Oba being an alumnus of Cambridge University, His Royal Majesty was then formally presented with his Club Membership Card with the appropriate Membership No: 00001. 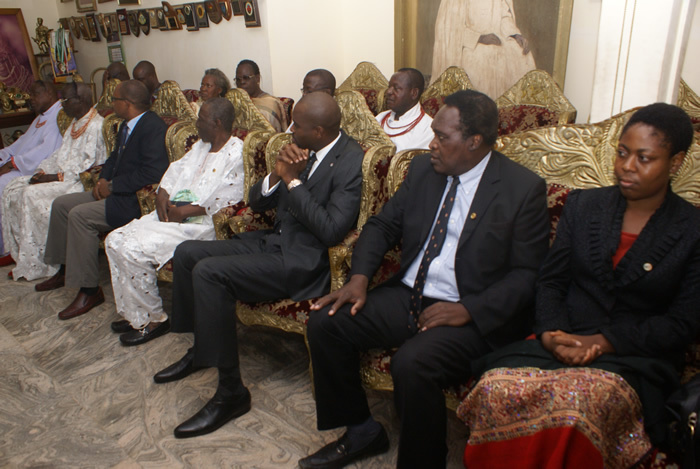 Responding, His Royal Majesty thanked the President and the Delegation for their visit and told them that he had been following the Club’s activities in the Media. 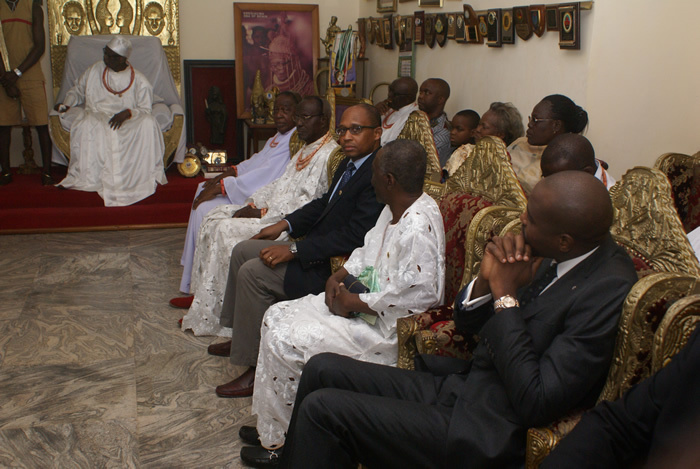 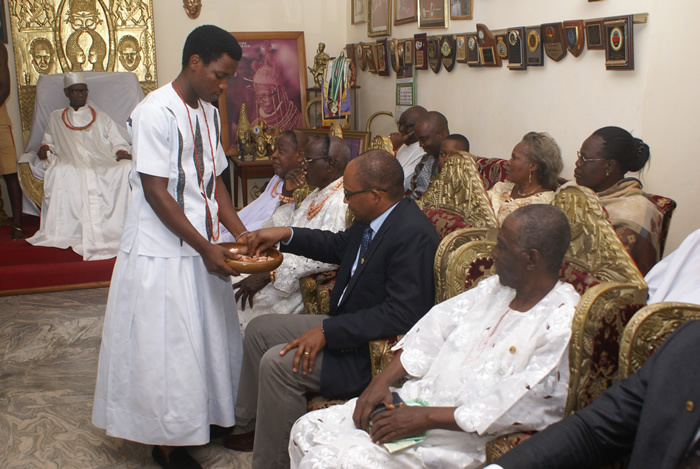 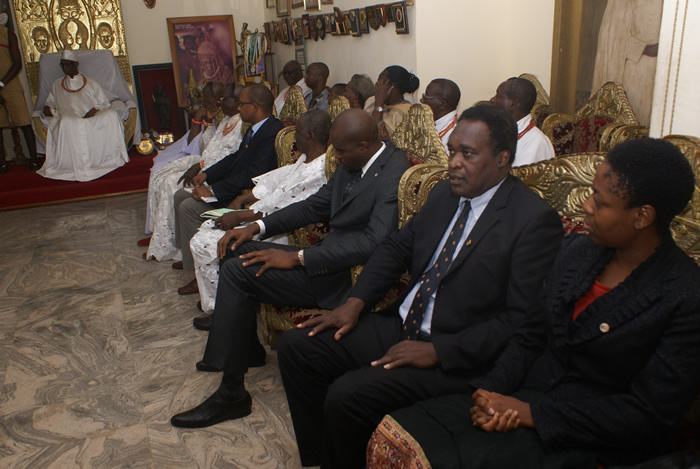 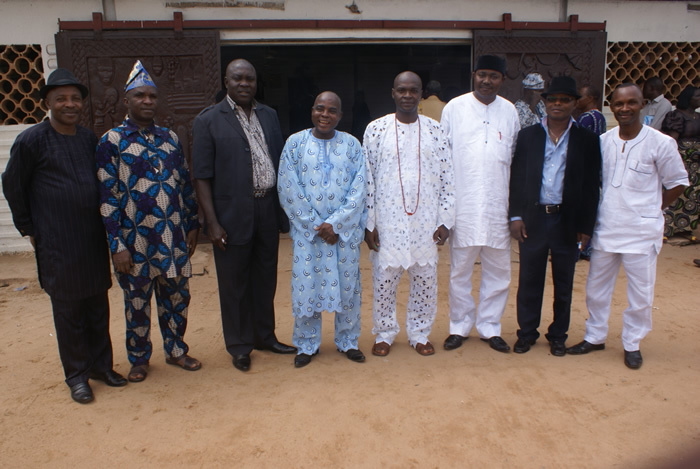 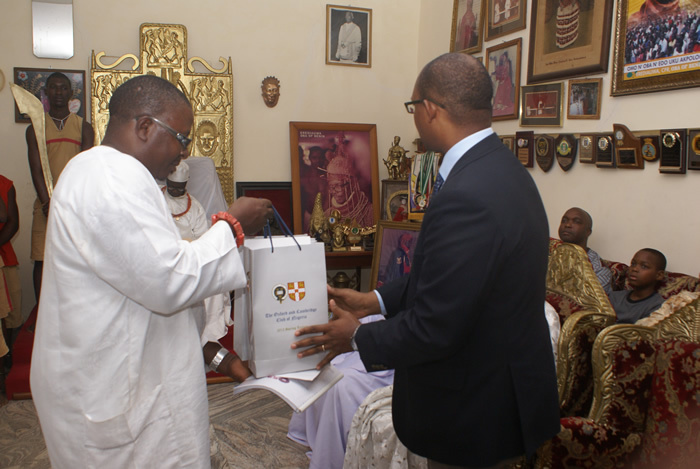 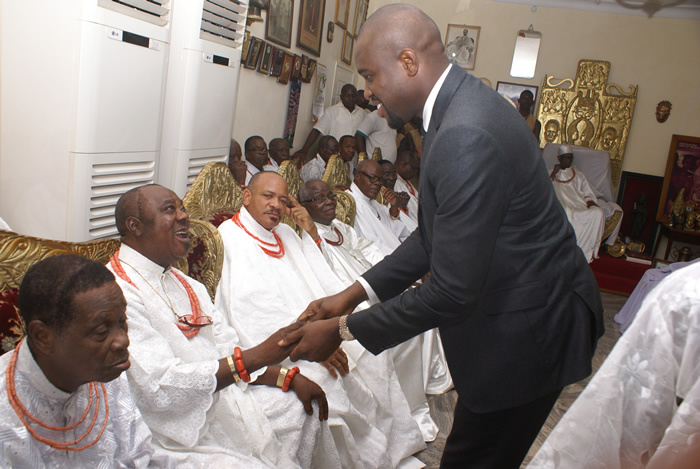 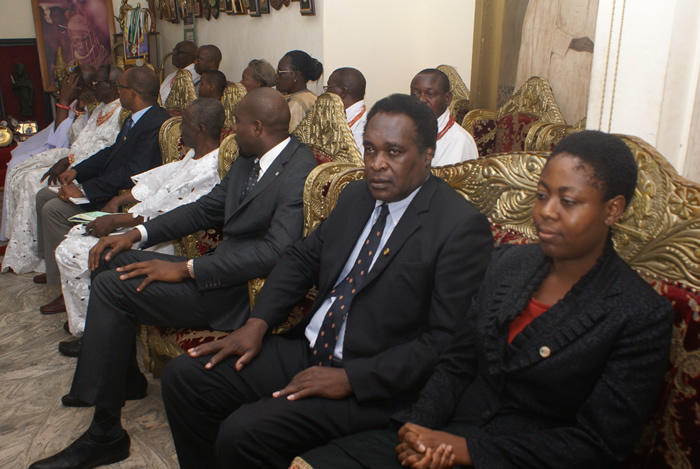 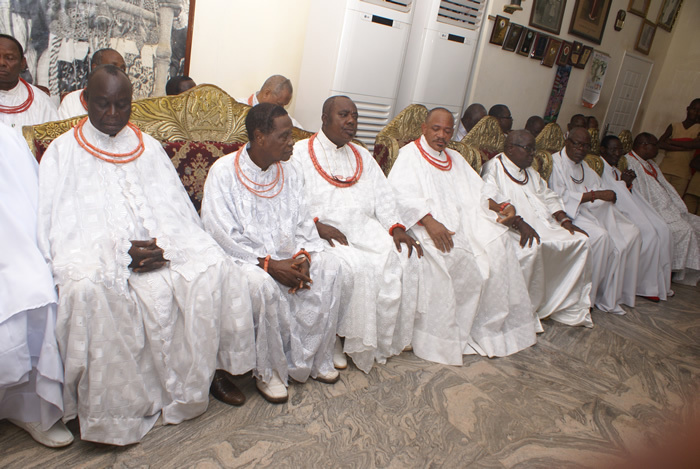 The Oba assured them of his continuous support and prayers. 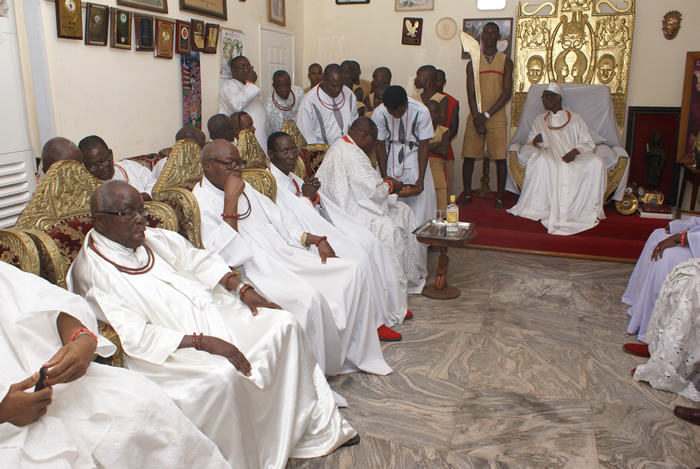 A Senior Palace Chief was then mandated to offer special prayers for the President and his team. 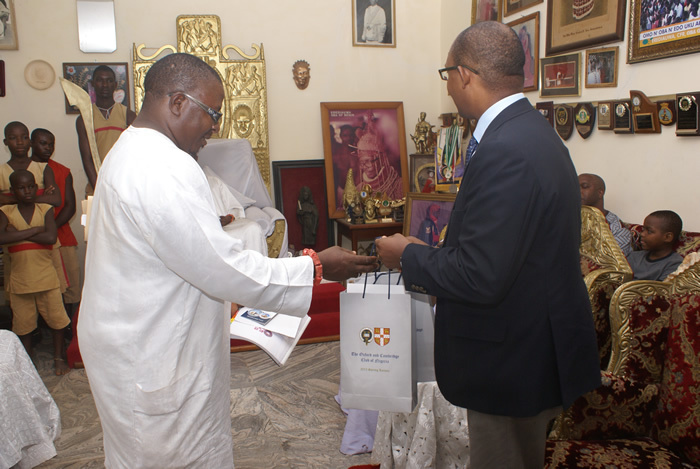 Other members of the Delegation were former Vice Chancellor of the Edo State University, Ekpoma, Professor Osemekhian, Ms Inewari Diete-Spiff, Mr Tosan Rewane and immediate past Executive Chairman of the Edo State Board of Internal Revenue, Dr Ese Owie. 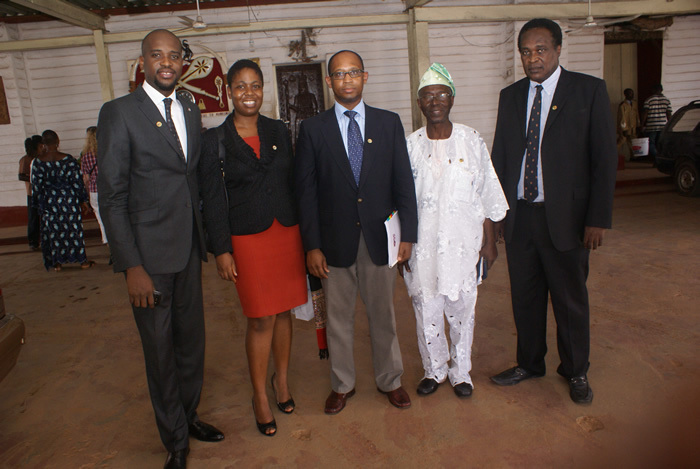 The Oxford and Cambridge Club of Nigeria is an alumni association of the University of Oxford and the University of Cambridge, both in the United Kingdom. 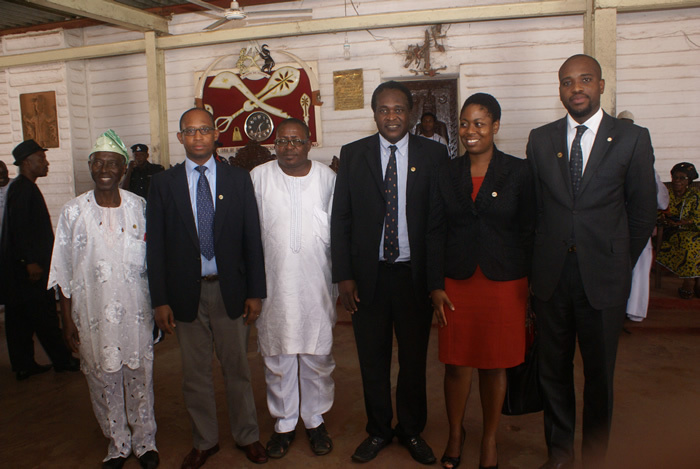 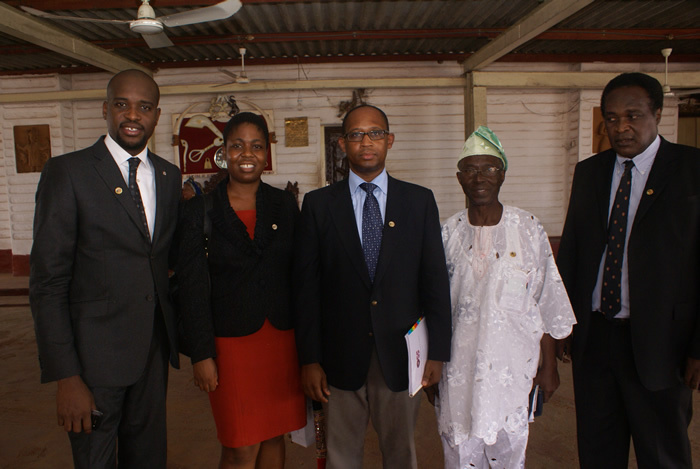 Our Club welcomes all persons who are alumnus of either of the two Universities and are Nigerian or living in Nigeria.